Amargasaurus toy is museum quality dinosaur replica, hand painted and finely detailed dinosaur model, authenticated by the paleontologists of Museum of Natural History. 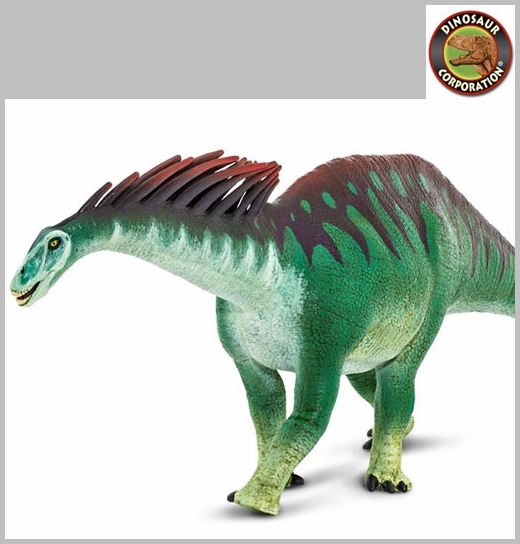 Amargasaurus toy is a great collectible dinosaur figure for kids and serious collectors. 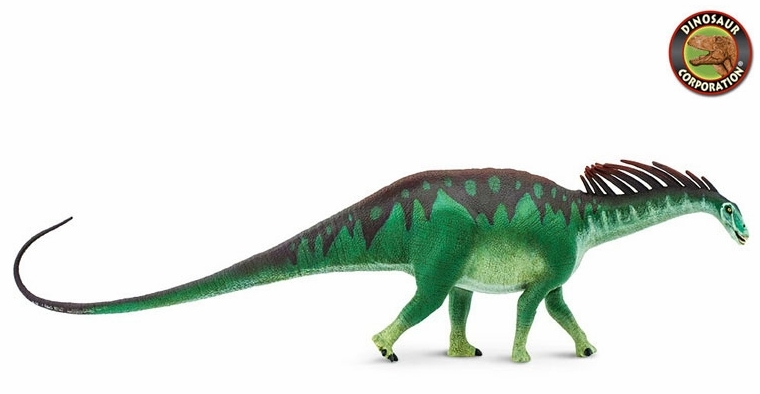 * Size and color: Amargasaurus figure measures a whopping 16 inches long and just over 4 1/2 inches high (41 cm x 11 cm). Our hand-painted Amargasaurus is a dark green above fading to a lighter shade below, with reddish brown markings on its back and red tips on its spines. * Characteristics: Amargasaurus was in many ways a typical sauropod dinosaur, with a long neck and a long tail, meeting in a wide midsection supported by four relatively slender legs. For a sauropod, its neck is comparatively small, and this figure replicates its unique rows of spines along its length.